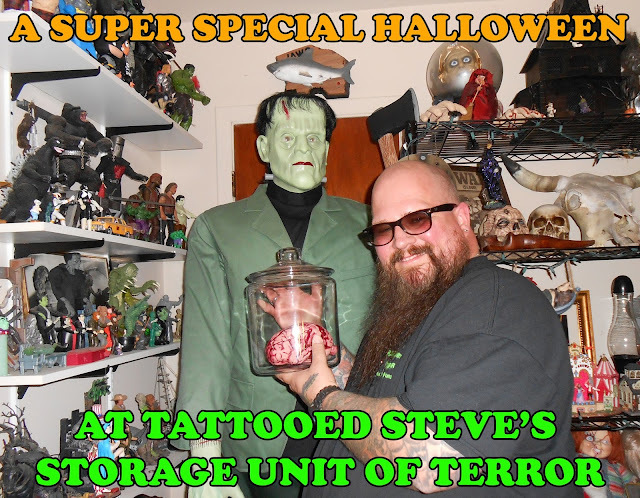 Tattooed Steve's Storage Unit of Terror: Tattooed Steve's Halloween Special 2013! 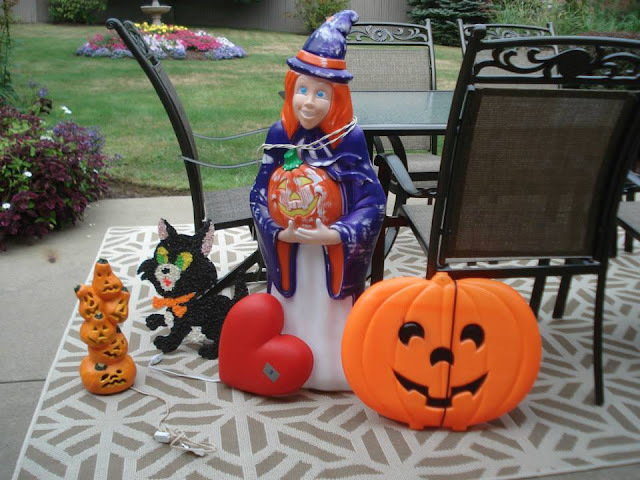 Halloween Memories are alive and well thanks to artistic talent and collections of people like Matt Gacesa. "Who's Matt Gacesa?" you ask. Well Matt is one of many very talented restoration artist and collectors of Holiday Blowmold Decorations. 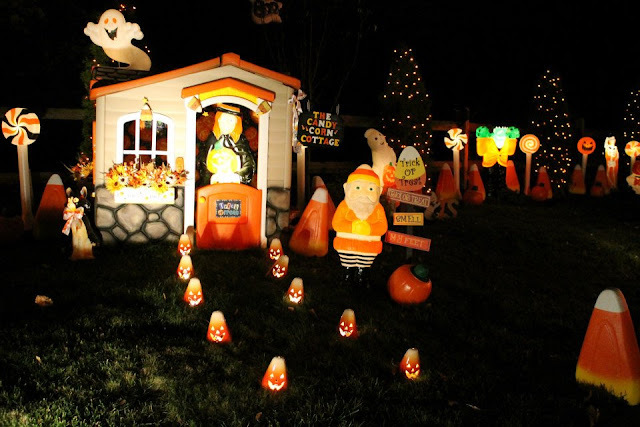 You can see his collection and wild holiday yard displays here on his Facebook Group "Blowmold Magic Holiday Displays". I had found out about Matt's group and his hobby/passion through Jerry Moore from Monster Madhouse and was just completely floored. 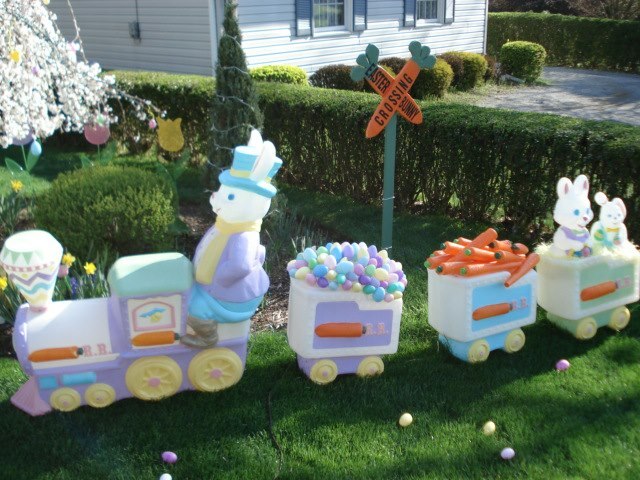 I'm sure you've seen this one a gazillion times on front lawns growing up. Now check out how Matt had reworked a damaged one to make it a Halloween Train! Then to really turn it up to eleven he had created an Easter version too!!! 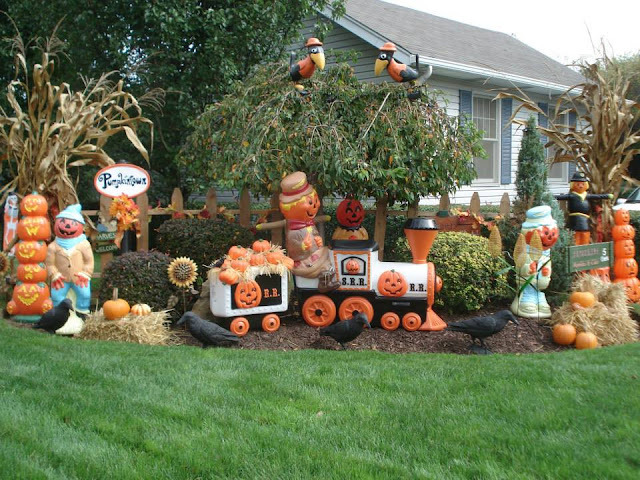 I know it's a Halloween Special, but I just wanted to show that Matt covers all of the holidays with his creations and lawn displays. 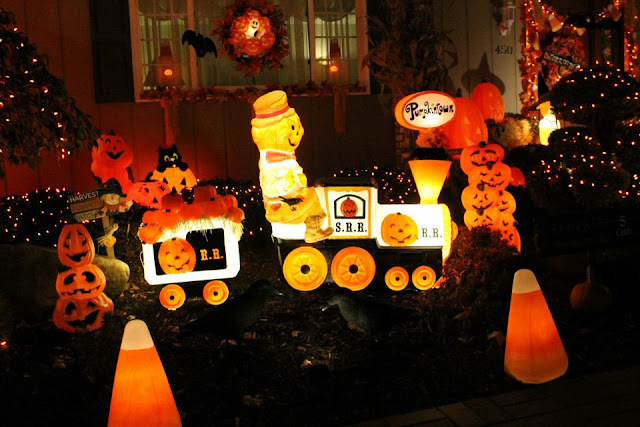 Matt uses a Candy Corn color scheme for his repaints of these classic holiday Blowmolds, and I think it is so amazingly cool that kids in his neighborhood get to have these displays as part of their Halloween memories. 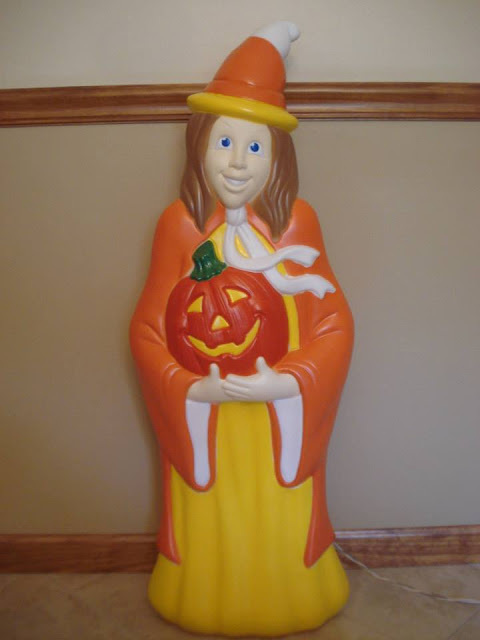 Here's a photo of his Halloween Witch before restoration along with a few other soon to be repainted pieces. And after her Candy Corn Makeover. 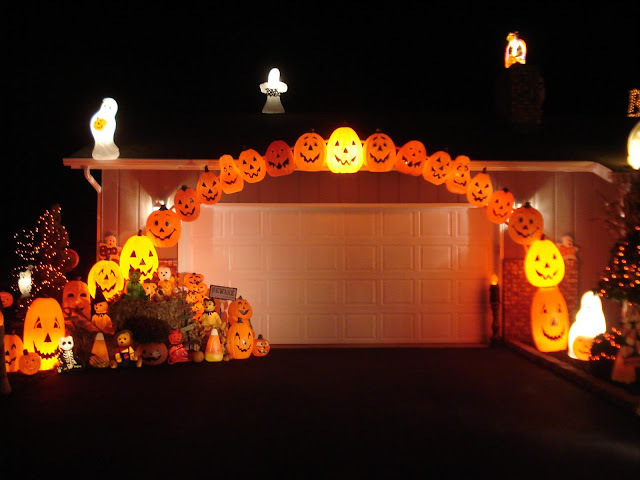 Check out his pumpkin archway! And here's a sample of his personal collection. After admiring Matt's work I had hit Google and researched more about his hobby and collection. I was really surprised that there's an entire community dedicated to Blowmold collecting and restoration. 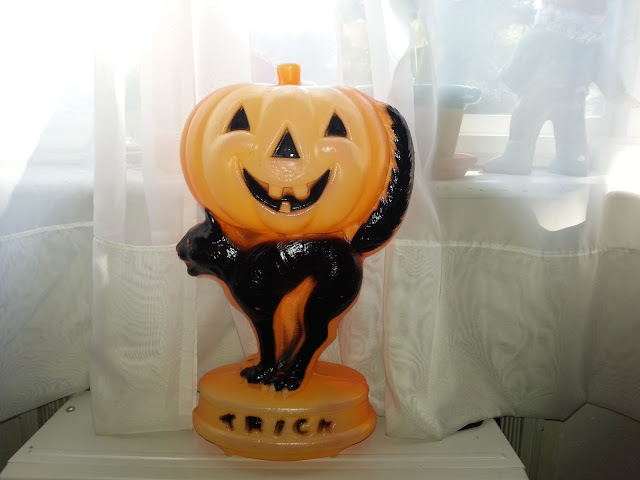 And even more surprised to find out that there are Blowmolds for just about every holiday besides Halloween! I'm just glad that I recently found out that they can be restored for a very reasonable cost way after my F/X workshop years, because I would have a ton of them and would be repainting them right now instead of typing here. 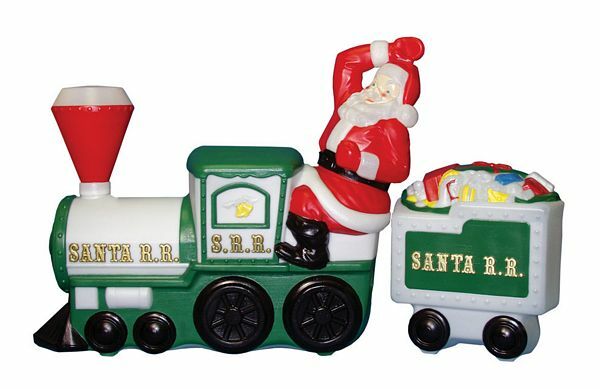 A lot of the Blowmold decorations are still in production, but there are quite a few that have been discontinued. So it's great that talented people like Matt care enough about them to keep them out of landfills and around for future generations to enjoy. And there are quite a few how to sites that give all kinds of information on stripping the original paint, which paints to use and how to repair just about everything from holes to seam splits. Another cool thing about it is it's an affordable hobby and pursuit. So since the artist are doing the work the Blowmolds can't be sold for a gouged price. People could try, but who else is going to by sun faded piece of plastic? And I really have to thank Matt for letting me share his talents with everyone that stops by here. And soon I'll be posting a full interview with Matt and finding out what was the spark that got him started. 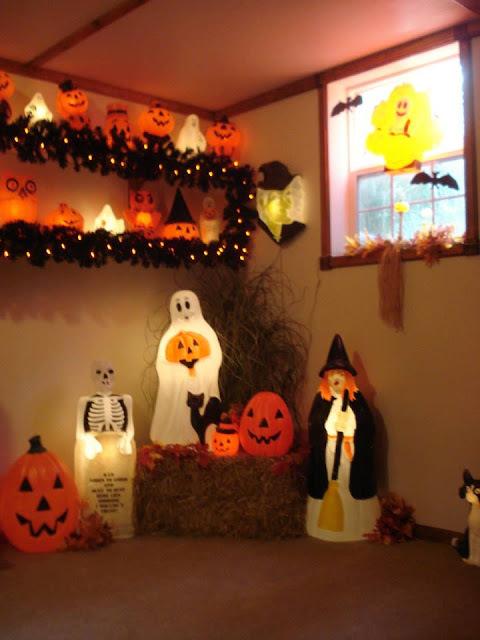 Until then make sure to pay a visit to Matt's Facebook "Blowmold Magic Holiday Displays" check out all of his yard displays and tell him that I sent you. Oh and my wife and I found a classic Blowmold that we had to add to our Halloween collection in honor of Matt's work.